Photos by Scott Douglas & Alan Katowitz for Vancouver Biennale and Heinz Ruckemann/UPI. The CineFest LIVE program supports the Biennale mission to celebrate the contemporary arts in public spaces by integrating film into the larger Biennale exhibitions via outdoor urban projections, master class workshops, film retrospectives, and emerging filmmaker competitions. The Biennale has featured films by and about Ai Weiwei, Vik Muniz, and Brazilian street artists Os Gemeos alongside their public-art installations, giving the artists the opportunity to showcase the multi-dimensional aspects of their artistic practice and giving the audience a layered understanding and appreciation of the artists, their motivations, and their work processes via live discussions. 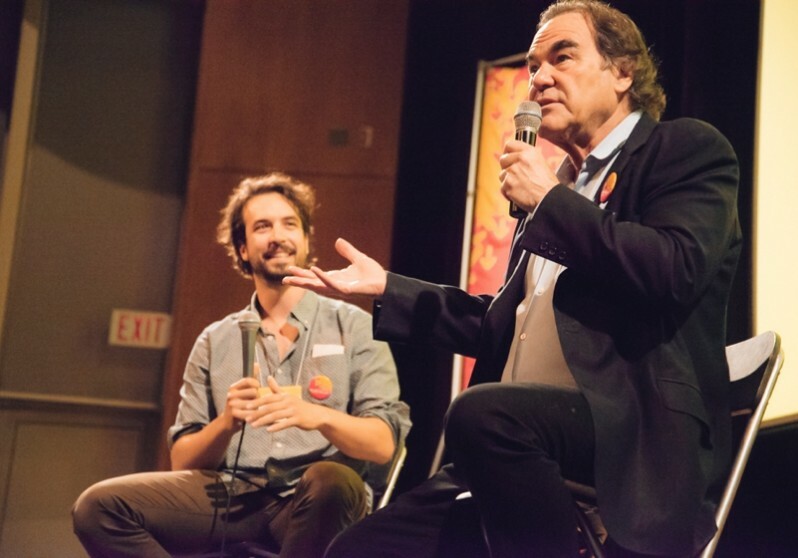 In the future the Biennale will also launch a national documentary film competition, giving young Canadian filmmakers ages 19 to 30 an unprecedented opportunity for professional development and international exposure through the Biennale network of international film festival alliance partners. 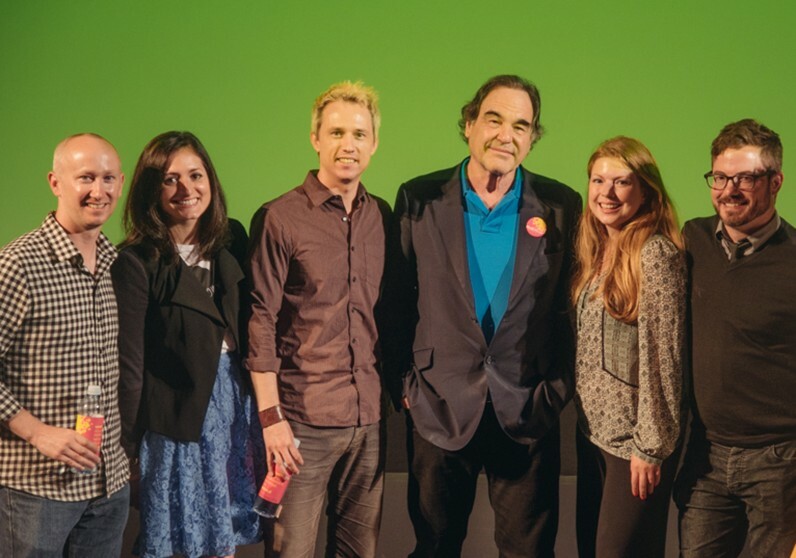 Between June 12 and June 15, 2014, the Vancouver Biennale kicked off its new CineFest LIVE film program with the attendance of Academy Award-winning filmmaker Oliver Stone. 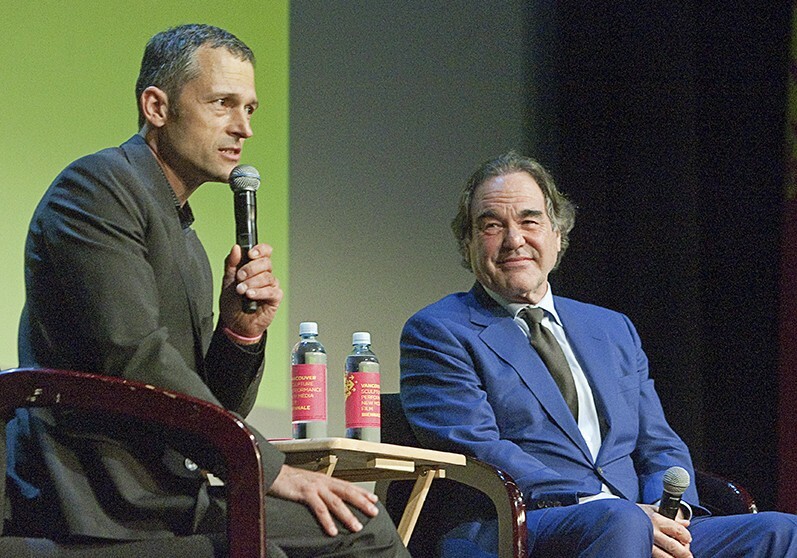 During his Vancouver Biennale residency, Oliver Stone attended a free screening of his newest documentary series The Untold History of the United States for students in Coquitlam, held a master class titled “Your First Film” with emerging local filmmakers at SFU Woodward’s, and was awarded the Biennale’s Sorel Etrog Lifetime Achievement Award at the Vogue Theatre. 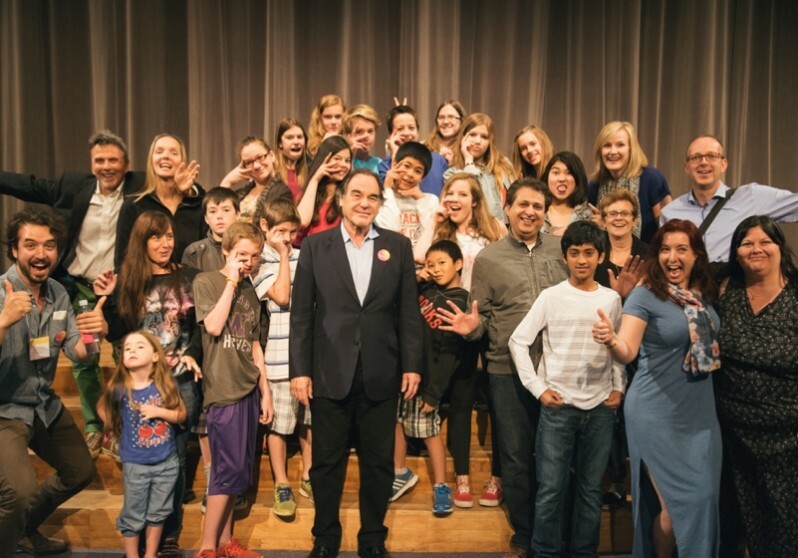 The CineFest LIVE film program continued with an evening with the world renowned land artist and photographer Vik Muniz in July 2014. A double bill of Academy Award-nominated Waste Land and This Is Not a Ball was followed by a Q & A session with the artist. 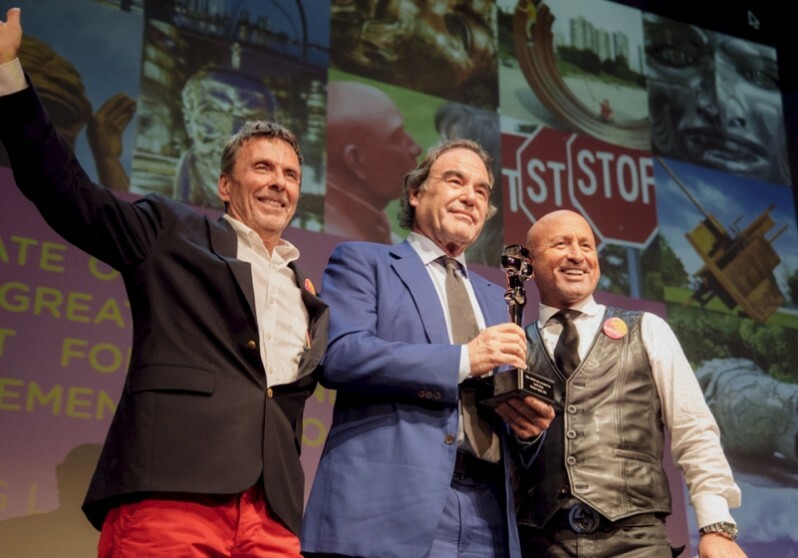 In 2015, we have taken Cinefest LIVE online with a digital retrospective of Ai Weiwei-made documentaries and monthly installments of the series The Untold History of the United States, produced and directed by Oliver Stone.